1. 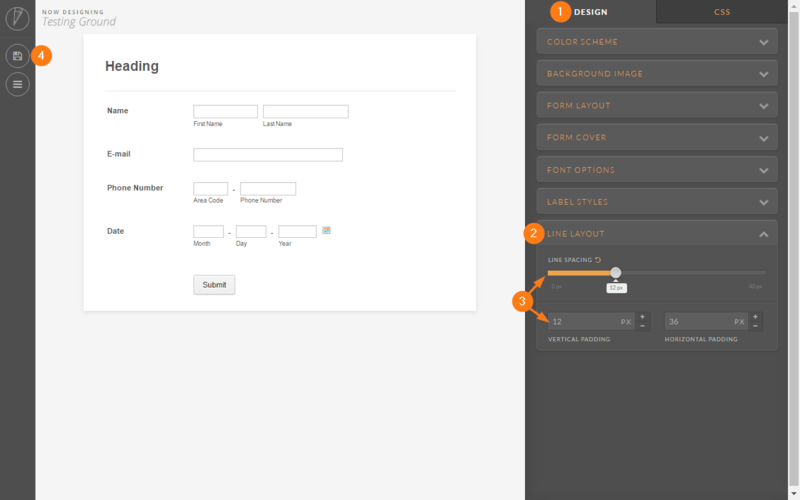 Click the FORM DESIGNER icon. 2. Click the STYLES tab. 3. Change the value of QUESTION SPACING (in px). 4. Then SAVE your changes. However, the first method cannot be used to change the spacing between specific questions. In such cases, it is recommended that Firebug is to be used to determine the ID and/or class selector(s) that would need to be targeted, as they vary from form to form. 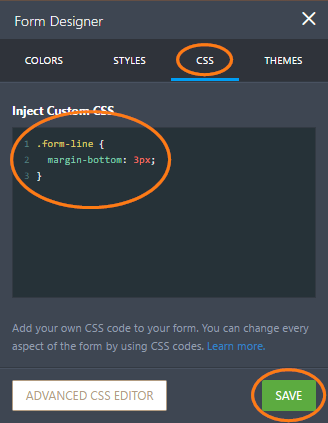 You can also change the spacing between form fields through the ADVANCED DESIGNER. Still on that same FORM DESIGNER window, while on the STYLES tab, scroll down to the bottom and click the ADVANCED DESIGNER button. 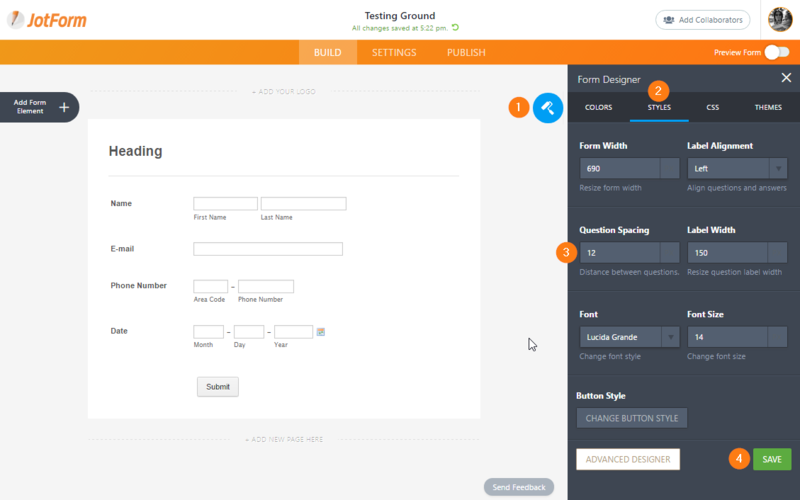 On the ADVANCED DESIGNER page, click the DESIGN tab, expand the LINE LAYOUT section, then increase or decrease the line spacing and/or vertical padding. Don't forget to SAVE your changes. Don't forget to save the changes you made by clicking the "Save" icon (You will know it is properly saved if the green check icon appears). After, that you can go back to the Builder page by clicking the "Back To Builder" icon. 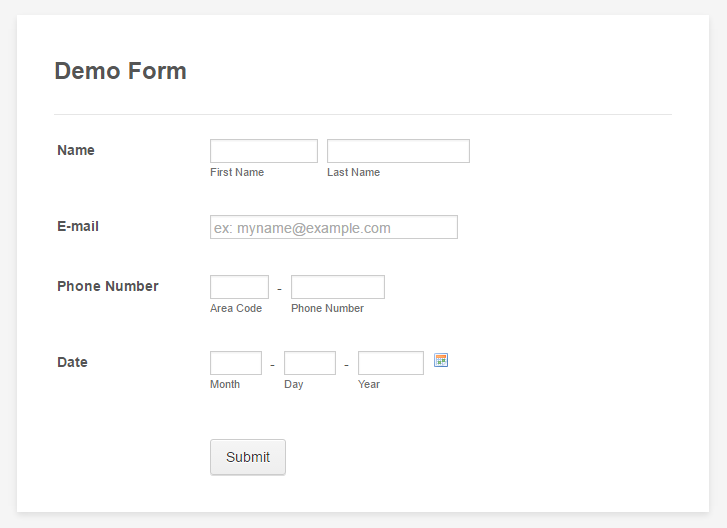 You may also preview your form through the Designer page, by clicking the "Preview Form" icon after saving the changes you made. I've tried everything but can't decrease the space between the questions. Can somebody help me? How would you change the spacing between check boxes within a payment product selection? How do i change the spacing between the lines? There's too much room on the default. 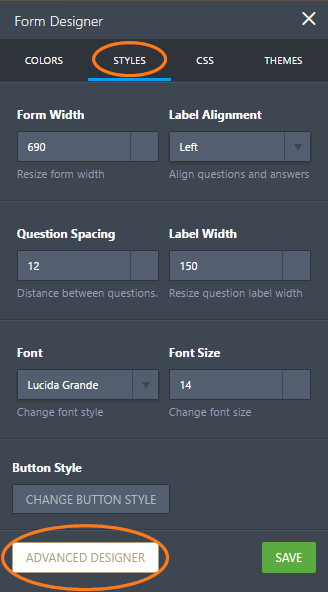 I would like to be able to visual separate the questions in columns on a page or put them side by side. Possible? Trouble with Date and Time picker formatting on Mobile! 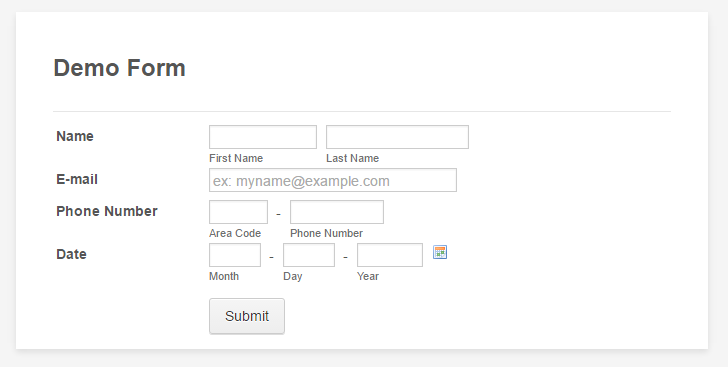 How do I put a frame around my questions on a contact form? How can I remove spacing in my JotForm auto emails?